Good Evening, World!!! I am a happy camper right now as the local news station I watch made sure to emphasis a particular that many advocates like myself are thrilled about. Seattle Police was able to get a donation of one hundred or so naloxone (narcan) for more officers to carry to help in an opioid overdose. I know many people take issues with such things however, I as advocate of the Harm Reduction model as well as being a live in general I am all for this. You kind of need to be alive to be able to choose to be in recovery. 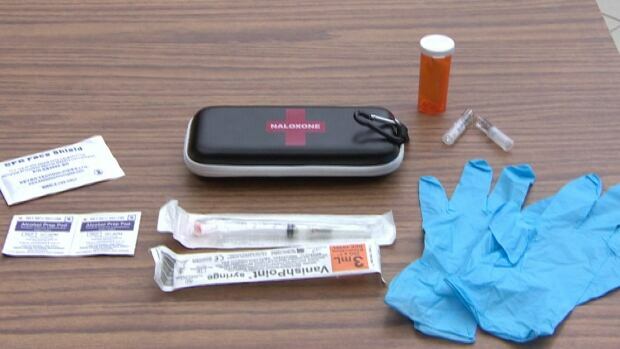 Below is a picture of what a naloxone kit looks like. This entry was posted in Uncategorized and tagged Addiction, Herion, Life, Local News, Mental Health, Mental Illness, Naloxone, Narcan, News, Opioid Epidemic, Police, Recovery, Seattle, SPD. Bookmark the permalink.